This early Keystone short seems to have been built around some stock footage of a burning oil well. 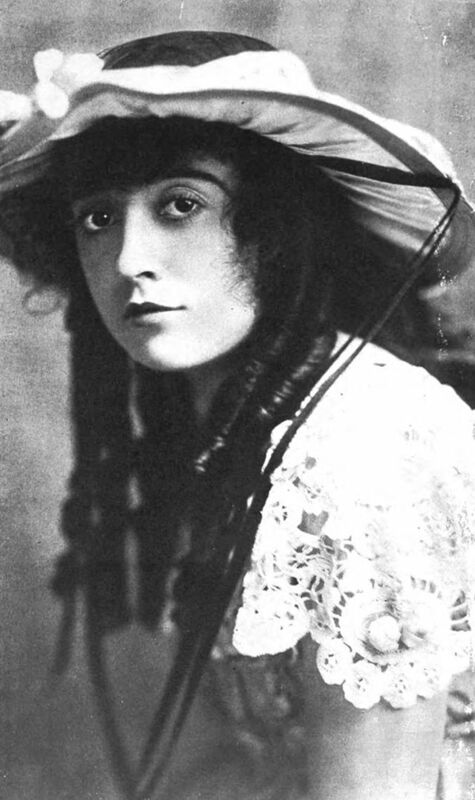 Mabel Normand is the classic girl next door, except that in this case she lives next door to an oil field. She is courted by both Charles Inslee (who had roles in “Making a Living” and “His New Job”) and Ford Sterling (Chaplin’s rival in “Between Showers” and “Tango Tangles”). I can certainly understand her distaste for Inslee, with his greasy charm and his penchant for twirling his enormous mustache, but her attraction to the oafish Sterling is a mystery. Anyway, Inslee sells Sterling some bad land in a con, but it suddenly starts gushing oil! So, Normand and Sterling have their wedding at last, but Inslee is not to be outdone. He strikes a match and – whoosh! – the oil goes up in flames. Tinting was used to give the effect of the red fireball against the black smoke and it is quite impressive, especially as Inslee stands in front of it twirling and rubbing his hand in glee. Someone calls in the Keystone Kops, including Mack Swain (later in “The Gold Rush” and “Pay Day” with Chaplin) and Edgar Kennedy, (from “A Flirt’s Mistake” and “Mabel at the Wheel”) but the real denouement is Sterling chasing off the baddy. The fire rages on in the closing shot.